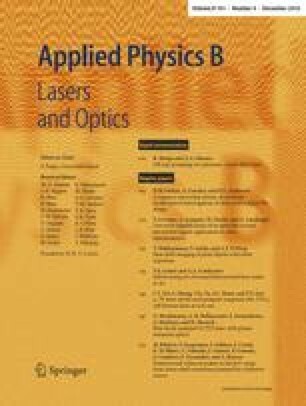 In this paper, we report a new scheme to amplify a microwave signal carried on a laser light at λ=852 nm. The amplification is done via a semiconductor tapered amplifier and this scheme is used to drive stimulated Raman transitions in an atom interferometer. Sideband generation in the amplifier, due to self-phase and amplitude modulation, is investigated and characterized. We also demonstrate that the amplifier does not induce any significant phase-noise on the beating signal. Finally, the degradation of the performances of the interferometer due to the amplification process is shown to be negligible.